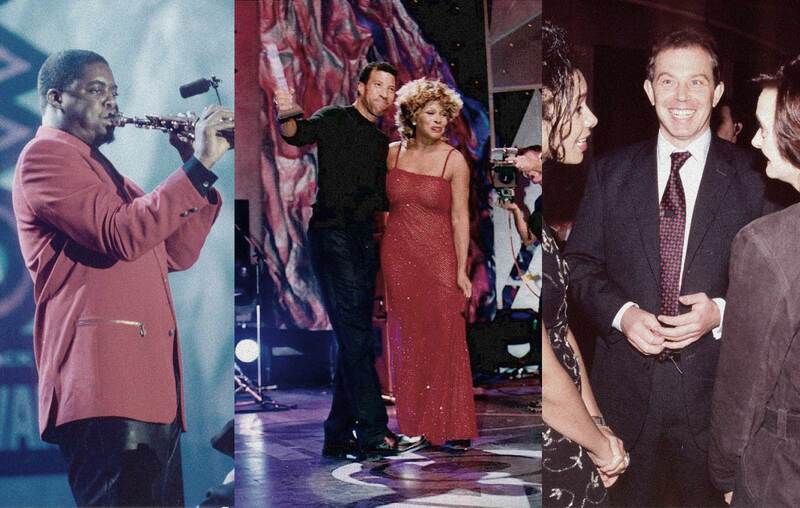 The MOBO Awards were launched in 1996 and were the first black awards show in Europe. The Awards attract the largest prime time multicultural audience and boast broadcast access to over 250 million people. The MOBO Awards have paved the way for other outlets of urban music such as MTV Base, BBC Radio 1Xtra and Channel U, which before MOBO did not exist. The MOBO Awards were created to represent music (of black origin) and urban culture, and the music is used as a symbol for the black experience as a whole. The MOBO Awards aimed to reward those with talent and determination, not just with accolades but also financially, as well as honouring the past and inspiring the future. MOBO is young, social, driven and positive and the brand stands for integrity, passion, faith, achievement and making a difference. The first Awards took place as a sedate sit-down dinner at London's Connaught Rooms, and recognised the talents of artists such as The Fugees, Tupac, Goldie, Seal and Teddy Riley. Then-leader of the opposition Tony Blair was present as we marked the start of something very new indeed.